Now that the Super Bowl is over you may have a bunch of beer bottles, wine bottles or maybe if you're health conscious you might have some mineral water glass bottles...don't toss them! Up-cycle them! I was originally going to make cups out of them but realized I have way too many cups and I needed something to go on our floating shelves in the living room. 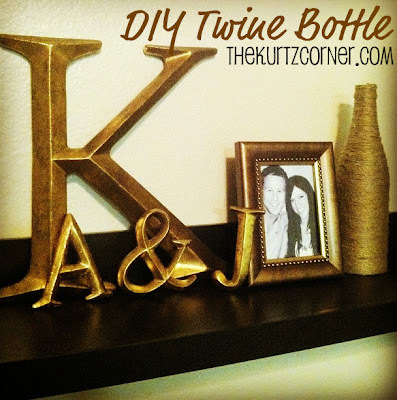 All you need is glass bottles, any kind will do, twine or yarn, hot glue and scissors. I used a glass mineral water bottle for my twine wrapped bottle. I also have a funky shaped wine bottle that I plan to wrap in white yarn. I think the funky bottles are a lot of fun! 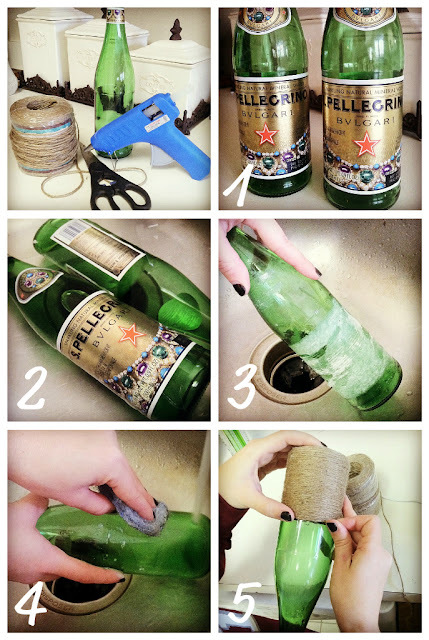 Here are five easy steps to help you up-cycle your left over glass bottles! You will want to remove your glass bottle lables so that you can't see them peeking through the twine. Submerge your bottles in a sink full of water. If you fill them with water they will stay under the water and make it easier on you. After they have soaked for a while you can peel off the labels pretty easily. To get the rest of the goop off of the bottles use an SOS (steel wool) pad and scrub under running water. 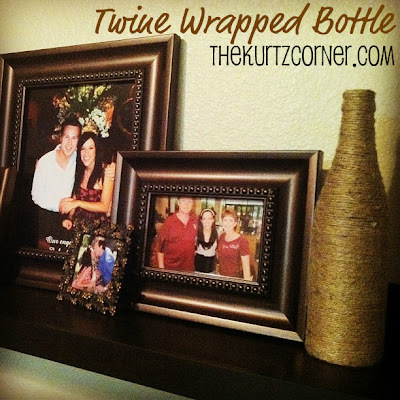 When your bottle is clean and dry you can begin wrapping it with your twine. Use little dabs of hot glue to secure your twine. Wrap as tight as possible to prevent gaps in your twine. That's all folks! Easy huh? You now have your very own rustic twine wrapped bottle. Enjoy! This is so cute. And FABULOUS tutorial. I'm thinking I may need to do a bunch of them in different shapes & sizes and line them up on the mantle!! Super cute idea! I do have a bunch of wine bottles that are waiting for crafty inspiration. I might have to try this! Last week I actually cut a couple bottles in half and decorated them for Valentine's day. Stopping by from Sew can Do. Cheers! My friend and I made a bunch of these for her upcomin wedding. 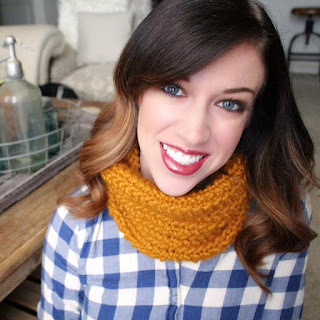 I love the texture and the nuetral color :) Yours turned out great! Well that seems easy enough! Love the tutorial photos! this looks great on your mantel. So happy you were able to link up with Mop It Up Mondays!! Thanks bunches for stopping by! Love this idea and love your mantel! What a cute idea!!! Thank you for sharing with us on six sister's stuff! We hope to see you next Saturday! I love how these turned out and it looks like something I could do too :) Thank you so much for sharing at Taking A Timeout Thursday! I'm featuring you this evening at Creative Juice. Thanks for sharing last week! this turned out really cute, Audra. Thanks for sharing, girl!